Sleep is every bit as necessary for optimal health as food and water. The recommended hours of sleep per every 24 hours varies, depending on your age. Babies should get 12 to 17 hours, toddlers should get 10 to 13 hours of sleep, children between the ages of 5 and 12 should get 9 to 11 hours of sleep and teenagers need 8 to 10 hours of sleep. Adults require 7 to 9 hours of sleep. People who get less than 6 hours a night may suffer physical and psychological problems because of it. People commonly turn to over-the-counter medications to help them sleep, but they can cause some detrimental side effects. Fortunately, essential oils can be used very effectively to improve sleep. They are non-addictive and have no serious side effects. 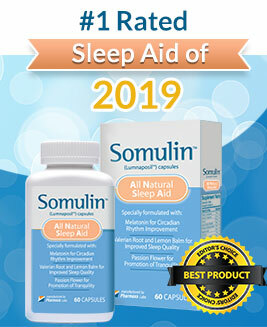 You can also take a quick scan of some best sleep aid supplements reviews such as Sleep Assure Reviews which might support you to get better sleep. Bergamot essential oil (Citrus bergamia) quiets racing thoughts, relaxes you and alleviates anxiety. It actually causes the body to produce serotonin and dopamine which are “happy hormones” that improve your mood and give you a very peaceful feeling. Add a few drops of bergamot essential oil to your diffuser and turn it on about 30 minutes before bedtime. It has an unusual, spicy, citrus, herbaceous, fresh fragrance that is unlike other citrus oils. You can apply bergamot EO topically, but cold-pressed bergamot EO is phototoxic. If you apply it to exposed skin and go outdoors in the sunlight, you will likely have a serious reaction. You can apply cold-pressed bergamot oil to exposed skin and go out in the sunlight, as long as it is diluted in carrier oil at a rate of less than .4%, or about 1 drop per tablespoon of carrier oil. Lemon essential oil (Citrus limonum) is one of the best citrus oils for improved sleep. It is a very relaxing essential oil, which helps you fall asleep and stay asleep. A 2016 clinical study on the effects of yuzu fruit aromatherapy proved that a 10-minute aromatherapy session “… significantly decreased heart rate …”. The study demonstrated how the scent of the yuzu fruit, a citrus fruit very similar to lemons, “… could serve to alleviate negative emotional stress …” as well as anxiety and fatigue. When the mind and body are relaxed, it is easier to fall into a deep, restorative sleep. 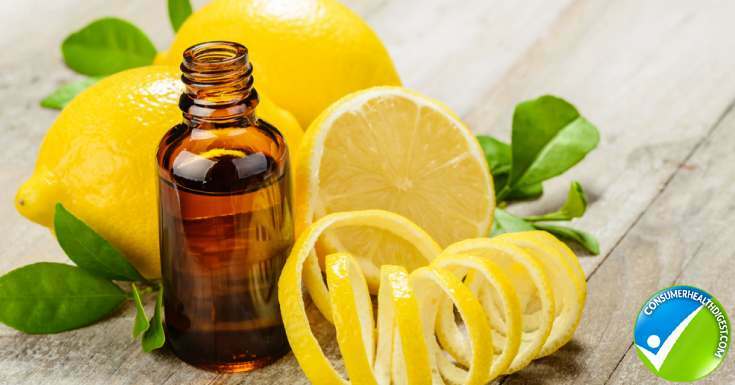 Lemon oil has the further benefits of alleviating depression and inflammation, both of which can cause and be increased by insufficient sleep. Cold-pressed lemon oil is phototoxic. Dilute the oil to a strength of 2% or less to avoid a nasty sunburn or stay out of direct sunlight for at least 12 hours after application. You could also just apply it to parts of your body that are covered by clothing, like your abdomen and lower back or the bottoms of your feet, about 30 minutes before you go to bed. Lemon oil will provide all of its benefits through aromatherapy, too. Simply add a few drops to your diffuser and start it up about 30 minutes before bedtime. Run your EO diffuser for only 30 to 60 minutes at a time. For a small diffuser, add about 1/8 cup of distilled water and a few drops of oil. It should run out of water and shut off automatically after about 60 minutes. Red Mandarin Essential Oil (Citrus reticulata var. mandarin or C. nobilis) is a very gentle, calming oil that has earned the nickname the happy oil and children’s oil. Add a few drops to your diffuser at night or massage a few drops of a 2% red mandarin EO/carrier oil blend into your temples, forehead and the back of your neck. You will quickly drift off into a deep, peaceful sleep. Red mandarin EO is even gentle enough to give your colicky baby some relief. Use a low dilution rate of only 1/2% to 1% on babies over three months old. Apply a few drops to your baby’s feet and abdomen then put socks and a shirt on the baby. That way the baby can’t get the oil on his or her hands. Do not use essential oil on babies that are less than three months old. You can also add 1 or 2 drops of red mandarin essential oil to a diffuser and run that in the baby’s room for about 30 minutes. Red mandarin oil derived from the rind is not phototoxic. Mandarin leaf oil, however, is phototoxic. Orange essential oil (Citrus sinensis) is another happy oil that is excellent for helping you fall asleep and stay asleep. It is very calming and soothing. Orange EO is also good for relieving muscle cramps. Add a few drops to your diffuser for bedtime aromatherapy. You can also massage a 1% to 2% orange oil/carrier oil blend into the back of your neck, lower back or the back of your feet for quick relaxation before bed. 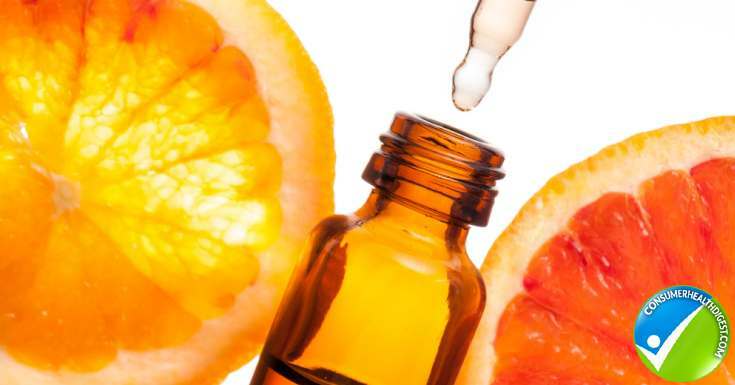 Orange essential oil is not phototoxic. Basil essential oil (Ocimum basilicum) relieves anxiety and relaxes you so that you can fall asleep quickly and stay asleep longer. Practice bedtime basil oil aromatherapy or massage a 1% to 2% basil EO/carrier oil blend into your shoulders, back of your neck or feet. Basil essential oil smells like licorice. Marjoram essential oil (Origanum majorana) will reduce anxiety and improve sleep. It can also be used for relief from leg cramps. Practice marjoram aromatherapy or apply a 1% to 2% marjoram oil/carrier oil blend topically. Clary sage essential oil (Salvia sclarea) is extremely good for improved sleep. It calms your mind, relaxes you and actually has a sedative effect. Add a few drops to your diffuser for bedtime aromatherapy or apply a 1% to 2% clary sage/carrier oil blend topically just before bed. Try massaging the oil into your back and thighs. You will be amazed how quickly you become drowsy. My favorite bedtime EO blend is 40% clary sage, 40% patchouli and 20% carrot seed essential oil. Patchouli EO (Pogostemon cablin) isn’t generally recommended for sleep, but it does have stress-relieving properties. Carrot seed oil (Daucus carota) also reduces stress and anxiety. The blend’s fragrance in the bottle isn’t all that great, the patchouli and carrot seed give it a very earthy smell, but somehow, when it is diffused, it has a fresh herbaceous fragrance reminiscent of sheets dried on the clothesline. Lavender essential oil (Lavandula angustifolia) is one of the best oils for improving sleep. It quickly relaxes the mind and body so you can fall into a deep, restorative sleep. Practice lavender aromatherapy of massage a 1% to 2% lavender/carrier oil blend into the shoulders, back of the neck, lower back or feet. 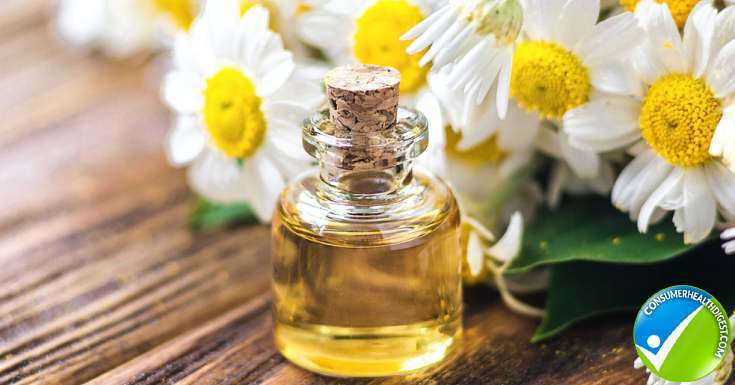 Roman chamomile essential oil (Anthemis nobilis) and German chamomile (Matricaria recutita) are both excellent for sleep. They are very relaxing and calming oils that are good for treating insomnia. Either of them can be used for bedtime aromatherapy or applied topically when diluted to 1% to 2% in a carrier oil. A blend of Lavender, Roman chamomile and neroli (Citrus aurantium) oils was used in a 2013 clinical study with excellent results. They blended together 6 drops of lavender, 2 drops of Roman chamomile and 1/2 drop of neroli. You don’t want to put all that in a diffuser at once, though. It would be best to blend the oils in a small bottle then add a few drops of the blend to the diffuser. Was this list helpful to you? Lack of sleep is such a common problem these days. We are so busy all day that it is hard to unwind and relax at night. Our minds often race, thinking about the day’s events and planned activities for the next day. It’s easy to just stop by the store on the way home and grab an OTC sleep aid but they aren’t a good long-term solution. Unpleasant and even harmful side effects can be just as detrimental as lack of sleep. Try a nice cup of relaxing herbal tea and aromatherapy instead. You will be amazed by how effective essential oils really are. One last important note is that the quality of your essential oils matters a great deal. Not all brands are equal and it is common for oils to be adulterated or fail testing for purity. 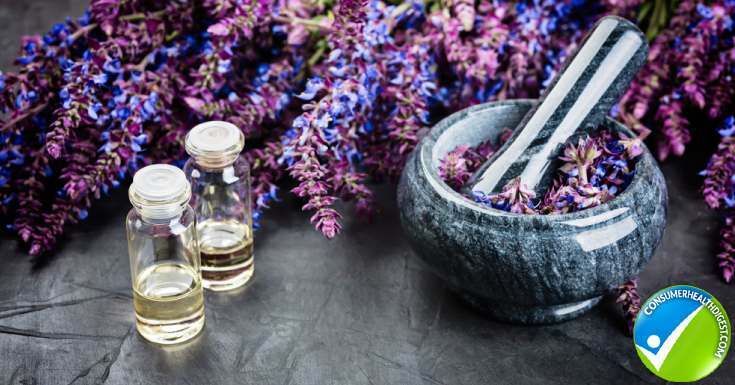 Here’s a guide on where to buy essential oils that is written by a licensed aromatherapist. Please leave a comment and share your own experiences with essential oils that help you sleep better. Let me know if you’ve found a certain oil, blend or technique that works especially well for you. Be sure to share, too, so that others can learn about using essential oils for improved sleep. This is a sponsored post written by Awais Ahmed. The opinions expressed in this article are the sponsor’s own. Learn more about contributing for Consumer Health Digest.